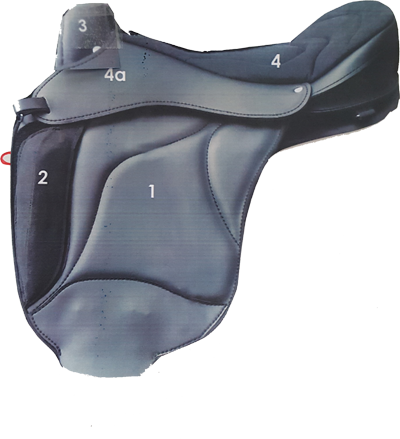 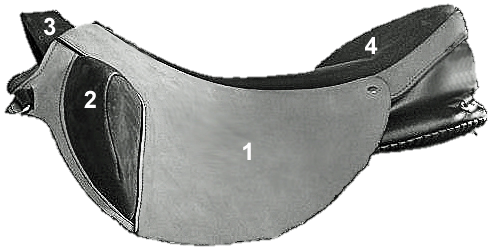 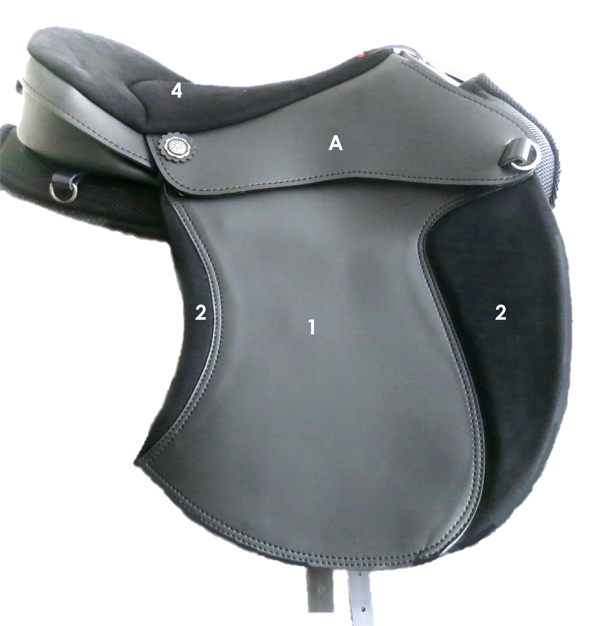 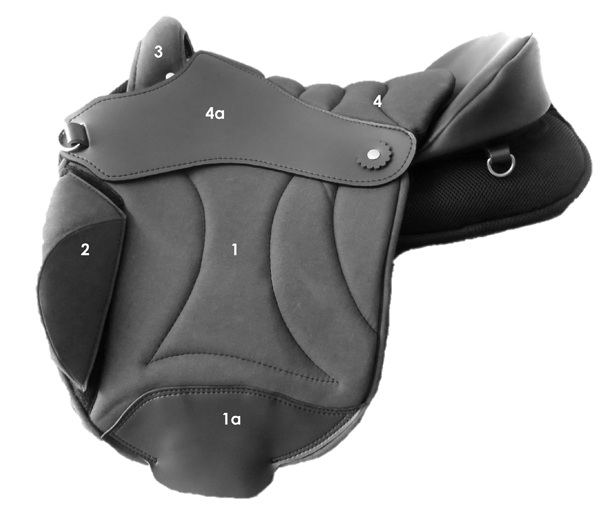 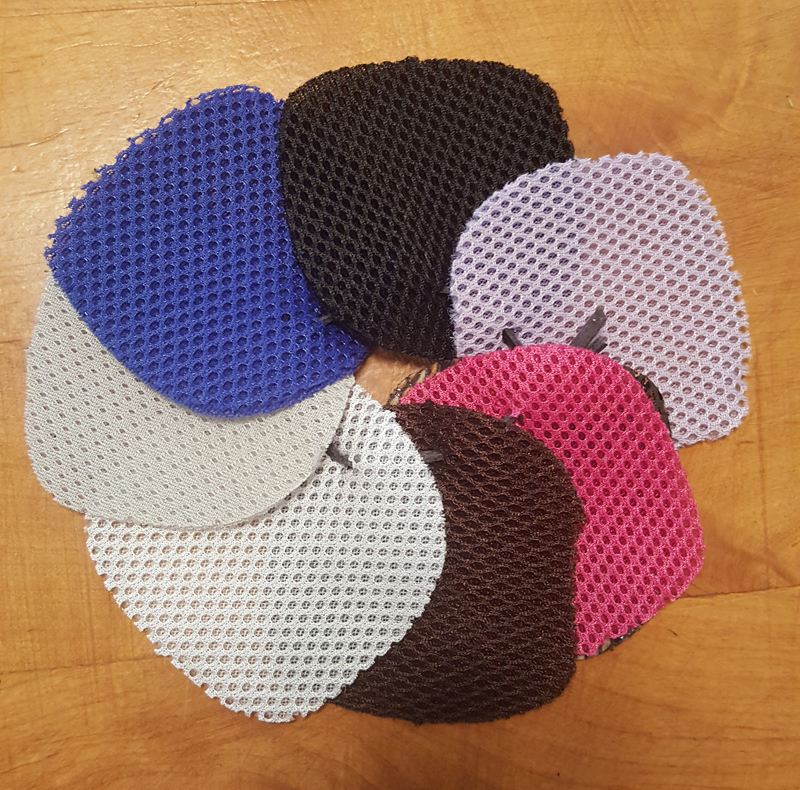 Ghost saddles are available in standard leather, Julia leather, nubuck, oiled (greased) nubuck, synthetic Lorica, synthetic Micropell, and sheepskin. 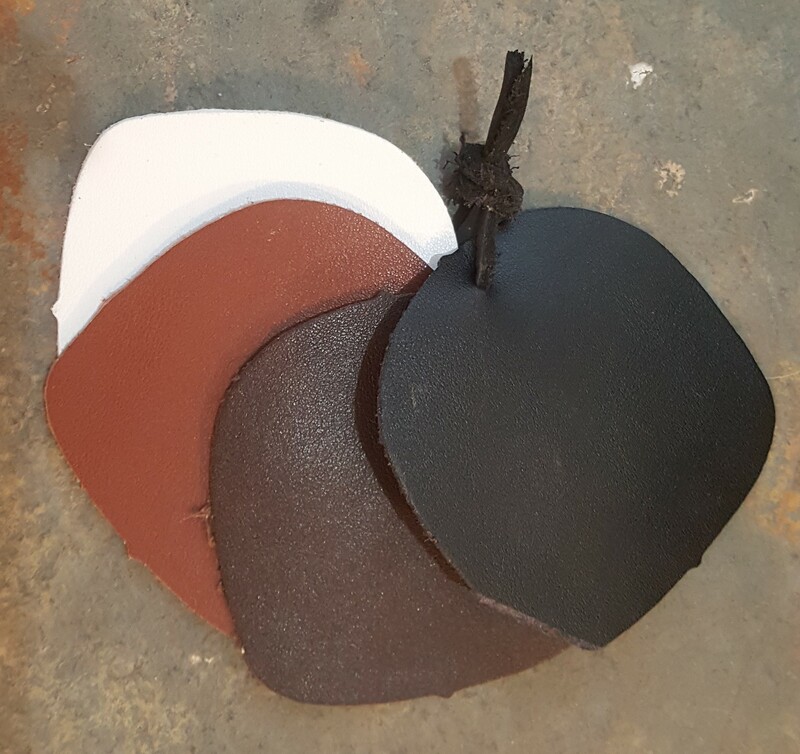 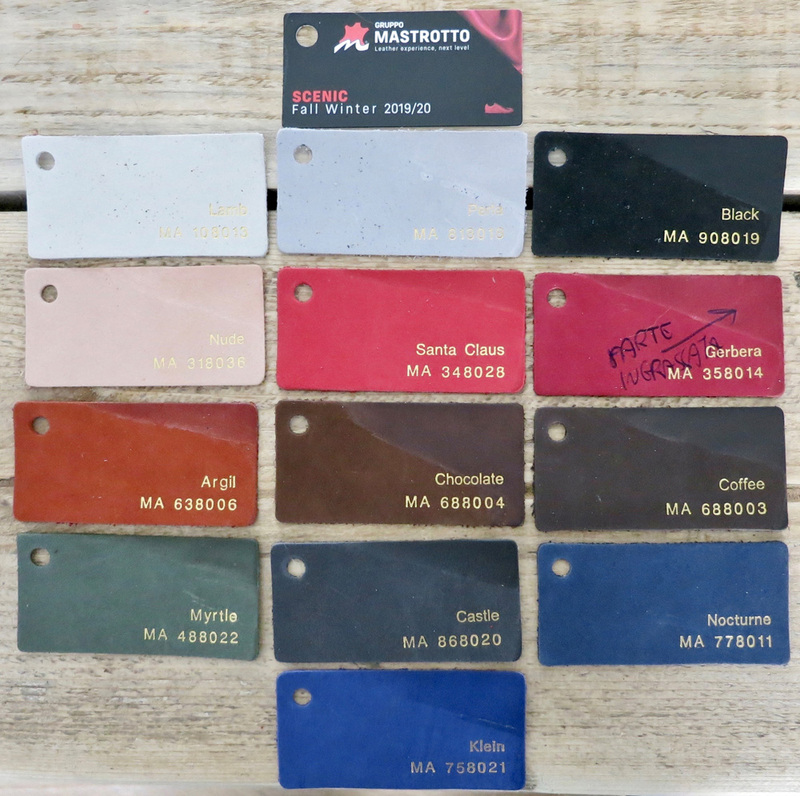 The browns range in color across materials so please ask if you're worried about color combinations. 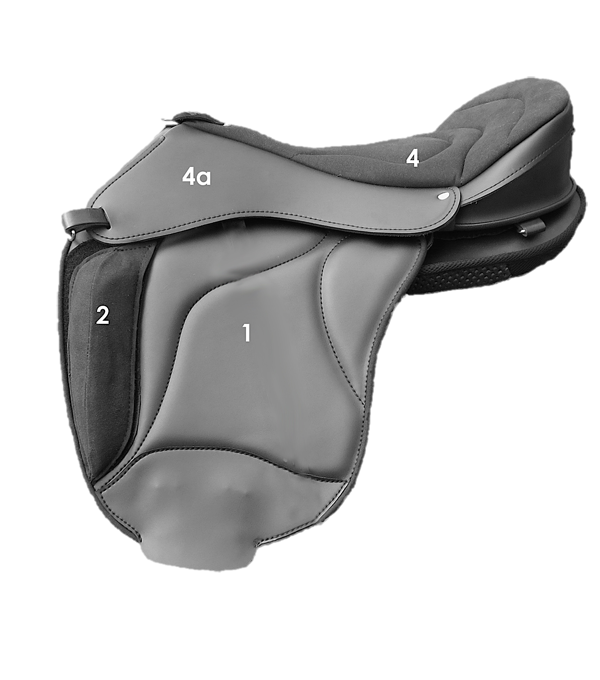 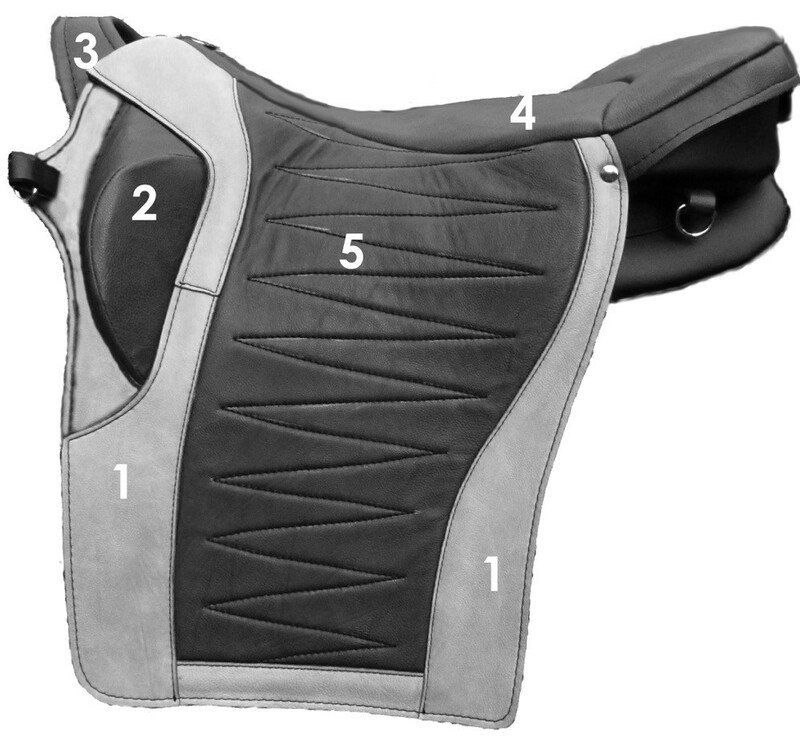 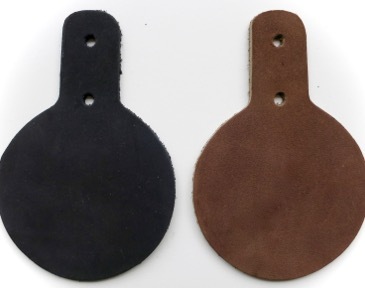 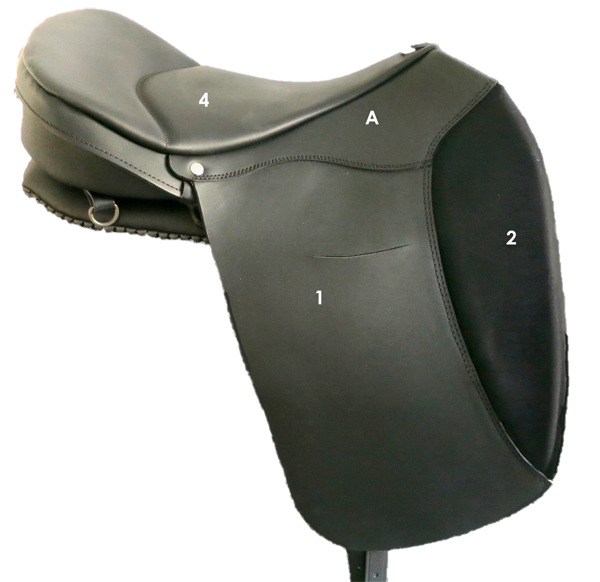 Nubuck isn't listed on the saddle selection page, but you can order it in black and brown. 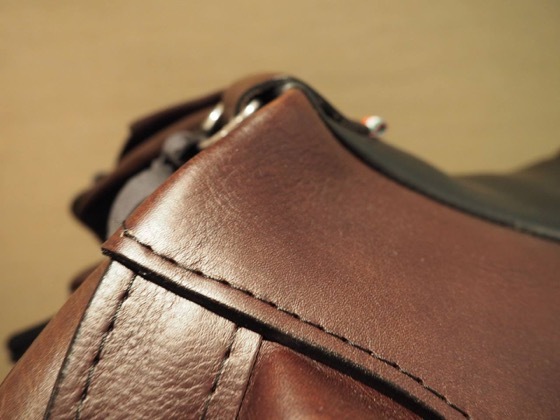 I don't list it because it eventually smooths and shines anywhere there's contact, so becomes like oiled nubuck but not evenly over the product. 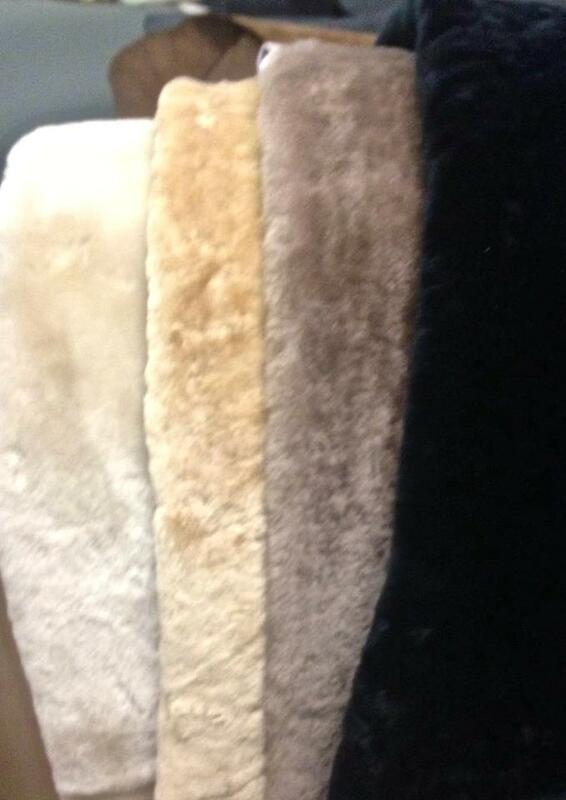 Real sheepskin is also available now in four colors (white, natural, black). 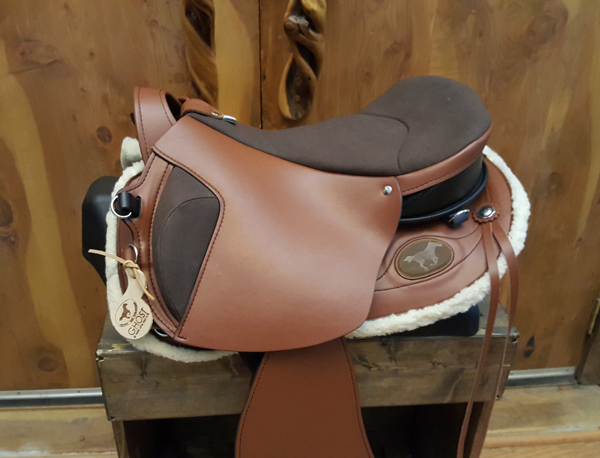 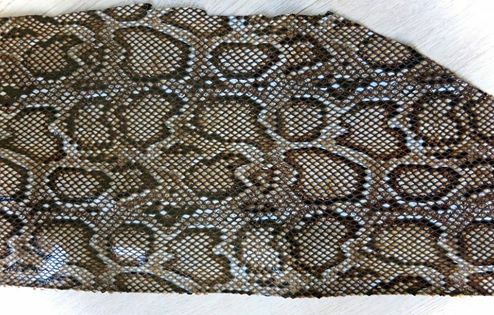 You can choose sheepskin for just the seat or the whole saddle but for long flap models you might consider a "wear" strip to avoid unexpected wear in high motion areas and also because not all sheepskins are big enough for the full flap. 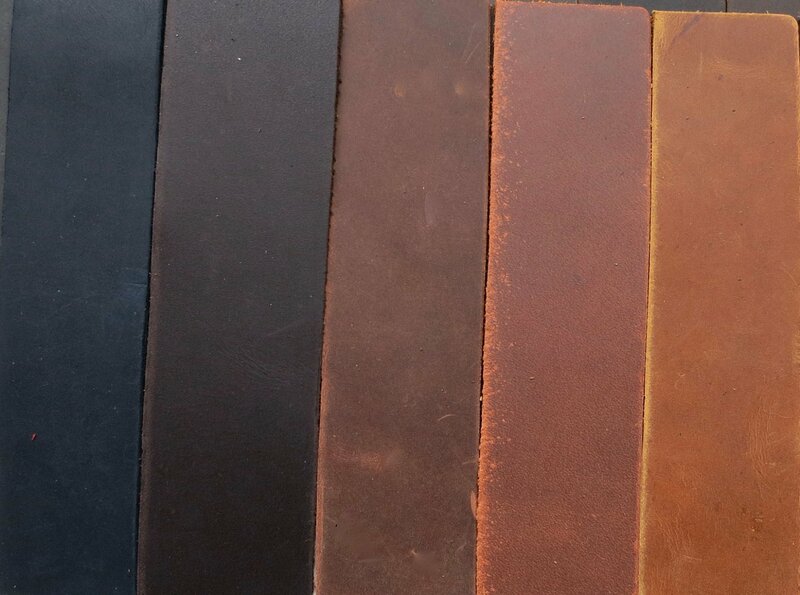 The top right corner of each shows the oiled color. 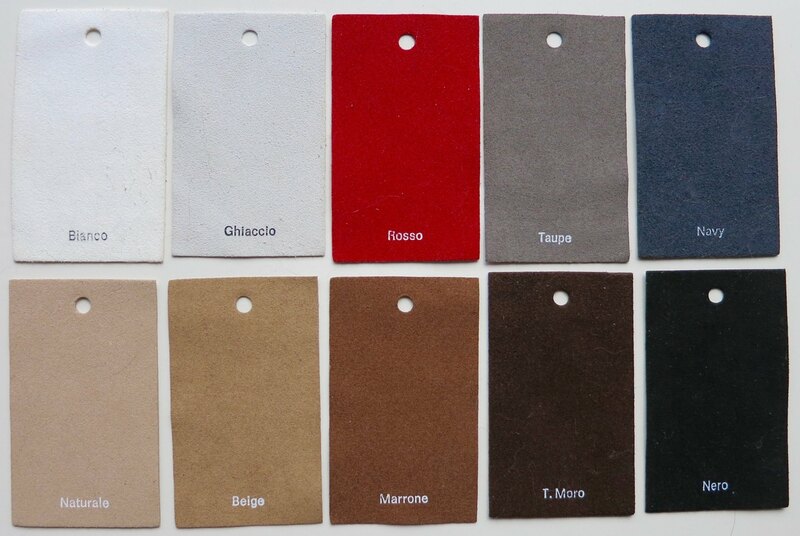 Note, image doesn't quite show true colors, Santa Claus is really a true red. 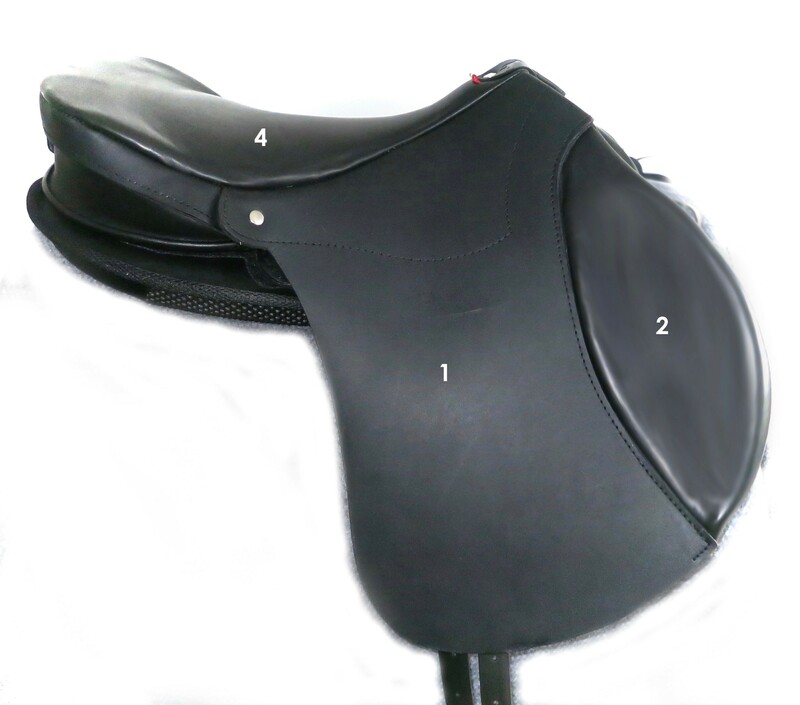 red, the others cost extra since there are minimum quantities and may not always be available.